Daniel Boone was a trailblazer, an explorer and frontiersman whose larger than life exploits made him one of the first American folk heroes. The Daniel Boone Stainless Steel Pellet Grill by Green Mountain Grills will make you a hero too, when you serve up some of the juiciest and most flavorful grilled meats your guests have ever enjoyed! But the menu doesn’t stop at meats; you can cook veggies, pizza, casseroles and side dishes, breads, even peanut butter cookies on this grill! 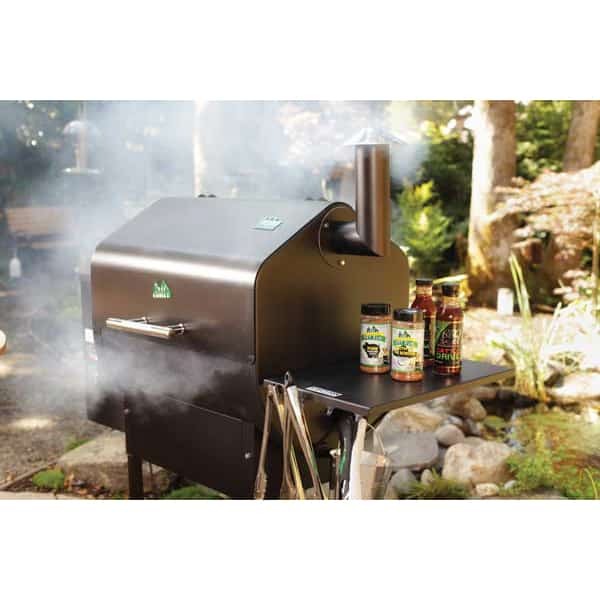 The Daniel Boone Stainless Steel Pellet Grill is fueled by hardwood pellets; clean, all-natural, convenient, and bursting with flavor molecules. It comes with a digital thermostat control that enables you to “set it and forget it” by pushing a button. Consistent heat equals culinary success! 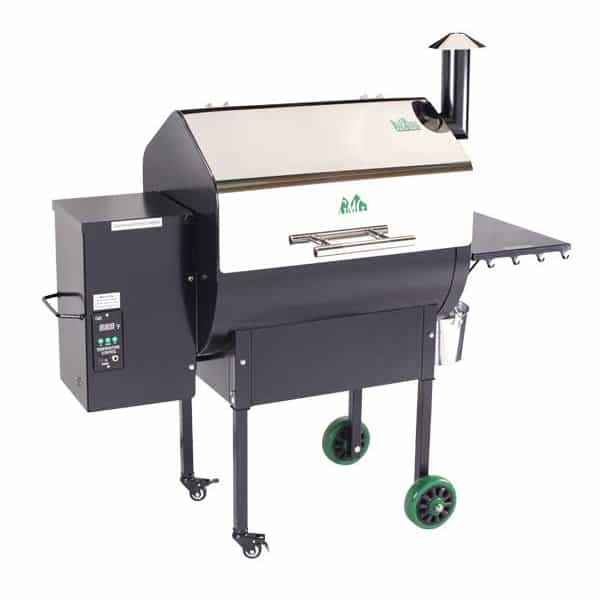 This award-winning pellet grill has a peaked lid to accommodate stand-up chicken and rib racks, a convenient tray for utensils, a Venturi-style firebox for cyclone combustion and stainless steel cooking grates. Be a backyard hero with the Daniel Boone Stainless Steel Pellet Grill by Green Mountain Grills!